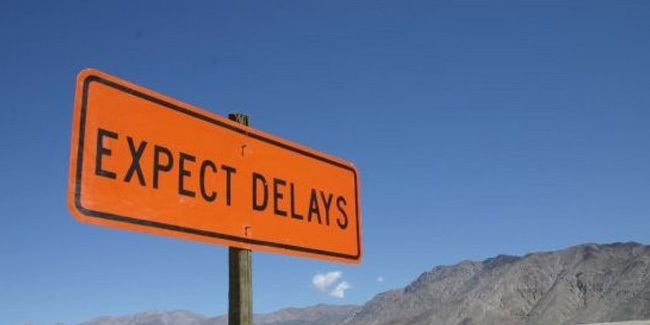 For more about delays in federal disability-related regulations (web, movie captioning, safe streets and more) see my two-part series in BeyondChron: Federal Disability Regulations Face Historic Delays and Justice Delayed in Federal Disability Regulations. Every six months, agencies in the United States federal government must notify the public about the status of pending regulations. On November 19, 2015, The U.S. Department of Justice (DOJ) gave an update about pending regulations regarding the accessibility of websites. As the agency has done many times before, the update boils down to a five letter word: Delay. Probably until 2018 for private sector websites. [Note: this post has been updated to include information about the delay for another set of regulations — those updating Section 508 of the Rehabilitation Act. The status of the regulations is buried in a Department of Justice filing with the Office of Information and Regulatory Affairs (OIRA) which is part of the Office of Management and Budget (OMB). The filing is called the semi-annual regulatory agenda. In the Fall, 2015 filing, the Department of Justice reported on the status of regulations for state and local governments (entities covered by Title II of the Americans with Disabilities Act) and for public accommodations (private entities serving the public covered by Title III of the ADA). The agency’s update is below. As you read, remember that even without regulations, the Americans with Disabilities Act (ADA) already requires websites and mobile applications to be available to everyone. The DOJ is delaying regulations. Site and app owners should not delay in making their digital properties accessible. The United States Access Board is responsible for regulations under Section 508 governing federal procurement of accessible technology. Back in July 2006 the United States Access Board started “refreshing” those regulations by establishing the Telecommunications and Electronic and Information Technology Advisory Committee (TEITAC) to review the regulations. The committee issued its report in 2008, the most recent Notice of Proposed Rule Making was issued on February 27, 2015, and the public comment period closed this past May. Last week the agency announced that the final rule would not be coming out until October 2016. Read the Access Board’s Fall 2015 Regulatory Agenda that includes the 2016 date. While the Access Board is responsible for Section 508 regulations, the United States Department of Justice is responsible for regulations under the ADA. For state and local governments, the Department of Justice’s Notice of Proposed Rule Making (NPRM) about web accessibility is now scheduled for January, 2016. (In 2010 the agency issued an Advanced Notice of Proposed Rule Making. The NPRM is the next step.) If that happens, the comment period will close in April 2016. Visit the DOJ information for Title II websites. The dates are in a small table toward the bottom of the page. The regulations are a small part of what the Department of Justice does. In the agency’s enforcement activities, it is requiring state and local governments to make websites and mobile applications accessible. Through its Project Civic Action the DOJ has announced many settlements with state and local governments requiring digital accessibility. The most recent is a settlement with Mclennan County, Texas announced in November, 2015. Obligations to make web-based services and programs accessible begin in Section 41 of the agreement. You can read more about DOJ web access enforcement activities over the past few years in the Legal Updates posted on this website. Many schools, colleges and universities are covered by Title II of the ADA. The DOJ, the Department of Education, and private lawsuit settlements leave no doubt: even without regulations web and mobile content, features and functions must be accessible to people with disabilities. A review of enforcement activity by both government agencies and private parties teaches that compliance with the Web Content Accessibility Guidelines (WCAG) 2.0 Level AA, combined with a robust program of usability testing, is the way to ensure that Title II websites and mobile applications meet ADA non-discrimination requirements. For public accommodations (private entities serving the public) the date for issuance of the NPRM has been changed to “to be determined.” Visit the DOJ Information for Title III websites. This is a step backwards in rule making; this past Spring the regulatory agenda stated that the private sector web regulations would be out by April, 2016. Read the Spring 2015 regulatory agenda for private sector websites. The Department’s 2010 ANPRM on web site accessibility, as previously pointed out, sought public comment regarding what standards, if any, it should adopt for web site accessibility, whether the Department should adopt coverage limitations for certain entities, including small businesses, and what resources and services are available to make existing web sites accessible to individuals with disabilities. The Department also solicited comments on the costs of making web sites accessible and on the existence of any other effective and reasonably feasible alternatives to making web sites accessible. The Department is reviewing the public comments received in response to the ANPRM and, as noted above, plans to publish the title II NPRM on web site accessibility early in fiscal year 2016. The Department believes that the title II web site accessibility rule will facilitate the creation of an important infrastructure for web accessibility that will be very important in the Department’s preparation of the title III web site accessibility NPRM. Consequently, the Department has decided to extend the time period for development of the proposed title III web site accessibility rule and include it among its long-term rulemaking priorities. The Department expects to publish the title III web site accessibility NPRM during fiscal year 2018. DOJ’s Fall 2015 Statement of Regulatory Priorities. Even though the web regulations are not expected any time soon, the Department of Justice has consistently and repeatedly stated that the Americans with Disabilities Act already requires websites to be accessible. When the DOJ delayed rule making in June 2014 I wrote a post detailing DOJ’s commitment to web access as of Spring 2014. Since that time, DOJ’s commitment to web and mobile accessibility has not wavered. Visit the Legal Update page to read recent DOJ digital accessibility activities. The Legal Updates linked above also detail how private parties are using the ADA to guarantee that disabled people have access to web and mobile content from private sector entities. Look for the next legal update before the end of the year. It will include the recently announced settlement between the National Federation of the Blind and Scribd — the Netflix of Books. Scribd — an online-only service — has agreed to make its digital offerings accessible. Read the Scribd/NFB press release. Please Contact the Law Office of Lainey Feingold if you would like to be added to the mailing list to receive notice of the next legal update. Thank you to the National Law Review for first posting about the Fall 2015 recent regulatory agenda.